From an article in Yachting: “The legendary yacht Bolero was built for yachtsman John Nicholas Brown by Henry B. Nevins at his yard in City Island, New York, and designed by Olin Stephens of Sparkman & Stephens. As a client, Brown was a stickler for detail, and one can imagine the discussions around the drafting table. By the time the black yawl was ready for launching in 1949, seven pages of calculations had gone into determining the right propeller, six sets of plans had been reviewed, three dozen minutely detailed scale drawings had been created, 37,000 man-hours had been billed and more than 100,000 bronze wood screws had been used in her construction… She was a thing of beauty; it wasn’t long before Brown and his wife were known as 'Bolero’s Browns.'" Find the full Yacthing article here. When General (then colonel) George S. Patton commissioned one of America's greatest designers to conceive him a boat to be built by F.F Pendleton of Wiscasset, Maine in 1939, he had the ultimate ambition in mind: "When the war is over, and If I live through it, Bea and I are going to sail her around the world." The designer, John Alden, had made his name as a builder of elite racing schooners that retained all their beauty and style while constantly winning the premier ocean races of the time. When and If was a new idea: a yacht which would maintain all her classic beauty and hold her own in recreational racing whilst being sturdy, comfortable, safe and luxurious enough to take a family on the voyage of a lifetime. Long after the General's untimely death in 1945, When and If sails on. Maintained in impeccable condition, When And If remained in the Patton family until 1972 when the General’s nephew, Neal Ayer, made a gift of the vessel to the Landmark school in Prides Crossing, MA where she was the centrepiece of a sail training program for dyslexic children. Find more about When and If here. In 2004, after a successful pilot project of shotgun metagenomics sequencing at the Bermuda Atlantic Time Series site, J. Craig Venter, Ph.D., and a Venter Institute team launched the Sorcerer II Global Ocean Sampling (GOS) Expedition. Inspired by 19th Century sea voyages like Darwin's on the H.M.S. Beagle and Captain George Nares on the H.M.S. 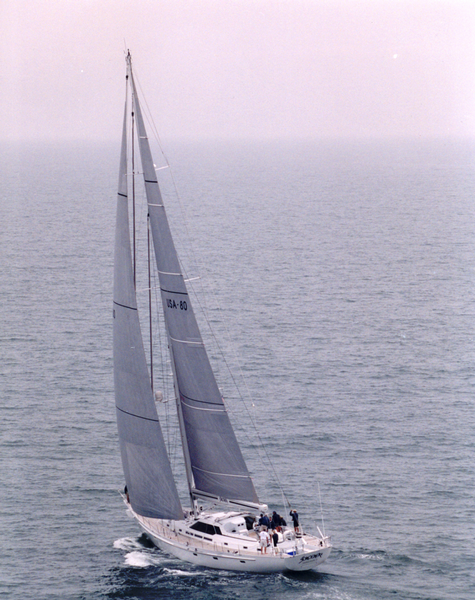 Challenger, The Sorcerer II circumnavigated the globe for more than two years, covering a staggering 32,000 nautical miles, visiting 23 different countries and island groups on four continents. Millions of new genes and nearly 1000 genomes for uncultivated lineages of microbes, as well as a more comprehensive understanding of marine microbiology through community datamining resulted from this historic project. Collaborative efforts and subsequent expeditions to the inland seas and lakes of Europe, Antarctica, and the Amazon River have greatly increased the known diversity of ecosystems and microbial diversity. Global analyses of the results have provided insight into what environmental variables most dictate microbial diversity and function in a lineage-specific basis. Numerous new lineages of viruses for both bacteria and eukaryotes have been identified. The most recent expeditions, conducted in 2017, systematically examined the microbes that colonize plastic pollution in the marine environment. Collaborative analyses of both local and global aspects of the GOS expedition data are ongoing and open to new partners. Find more about Sorcerer II’s expedition here. All three of the vessels will be leaving in the next few days, so get down to City Dock and have a look!